Cosmetic dentistry is designed to improve the appearance of a single tooth, area, or your entire smile. At Greenhill Family Dental Care, we offer a wide range of cosmetic options featuring advanced techniques, tools, and procedures. For patients who are unhappy with their smile, have discolored, flawed or chipped teeth or signs of wear, cosmetic dentistry can boost confidence and enhance your life. Porcelain veneers are one of the quickest and most effective ways to transform your smile. Teeth with cosmetic flaws, including cracks, chips, small gaps, minor misalignments, and deep discolorations, can all be concealed with porcelain veneers. It takes only a few visits to change the look of your teeth with veneers. A beautiful smile has many elements, and for many people, that includes brilliantly white teeth. The Zoom! teeth whitening treatment offers outstanding results in a single, one-hour office visit, and is clinically proven to safely and effectively lighten teeth up to 14 shades! For teeth with serious cosmetic or structural problems, including chips, deep stains that don’t respond well to teeth whitening, or extensive decay, porcelain crowns can restore normal appearance and function. These crowns fit over the entire tooth, like a cap, covering imperfections. Porcelain crowns not only improve the appearance but they also add strength to teeth with structural issues. Crowns are an excellent choice when the tooth still has strong, healthy roots. When a tooth has suffered structural damage, but not so much that a porcelain crown is needed, we may be able to restore them with an inlay or onlay. Inlays are used to repair decay or damage that lies within the cusps (points) of a tooth, and onlays are used to repair damage or decay that affects one or more of the cusps. Through dental bonding, we can conceal minor imperfections, such as cracks, chips, and discolorations. We apply a tooth-colored resin material to the tooth and sculpt it into the desired shape. The material hardens when exposed to a special light, and then is smoothed and polished to a natural-looking sheen. Dental bonding is a popular alternative to porcelain veneers, because it is so quick and easy. Although individual cosmetic dentistry procedures can enhance your smile, we can combine several options to achieve a more dramatic transformation. At Greenhill Family Dental Care, we believe that it’s never too late to have the smile you have always wanted. 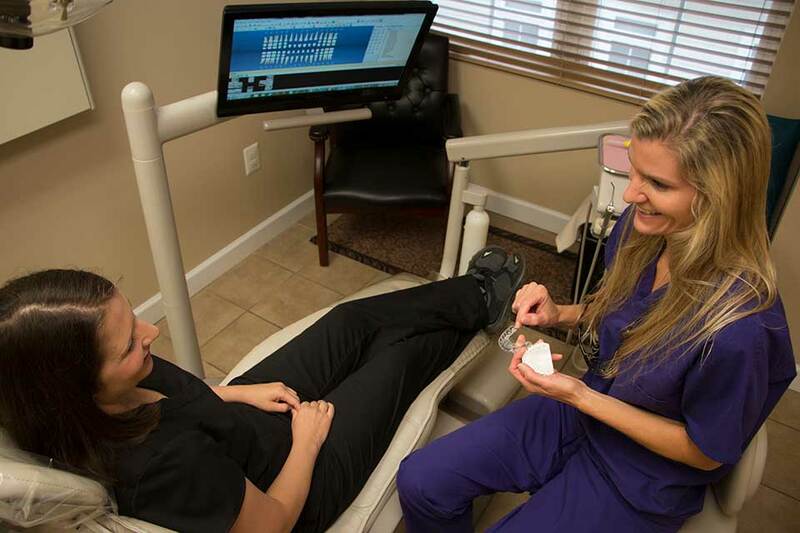 We personalize each smile makeover to produce the results patients want, within their time frame and budget.